India's boxing legend Mary Kom has won gold medal at the World Women's Boxing Championships held in New Delhi. It was her sixth medal in World Boxing Championships. In the final, she defeated 22-year-old Ukrainian boxer Hana Okhaya of Ukraine. Mary Kom won this medal at the age of 35 years. By winning this medal, Mary Kom has become the most successful boxer in world boxing history with 6 gold medals. In this Women's World Boxing Championships 2018, India won total four gold, three silver and three bronze medals. Mary Kom's full name is Chungjijung Mary Kom Humangte. She was born on March 1, 1983 in Kangathei, Manipur. She is one of the most successful boxers of amature boxing globally. She is the only boxer to win medals in seven world championships including six gold medals. She had won gold medal at World Boxing Championships held in Antalya in 2002, Podoslovak in 2005, New Delhi in Ningbo City in 2008, Bridgetown in 2010 and in New Delhi in 2018. Apart from this, she had won silver medal in World Boxing Championships held in Scranton in 2001. She had won bronze medal in 2012 London Olympics. After this, in the 2018 Commonwealth Games, she had won gold medal. 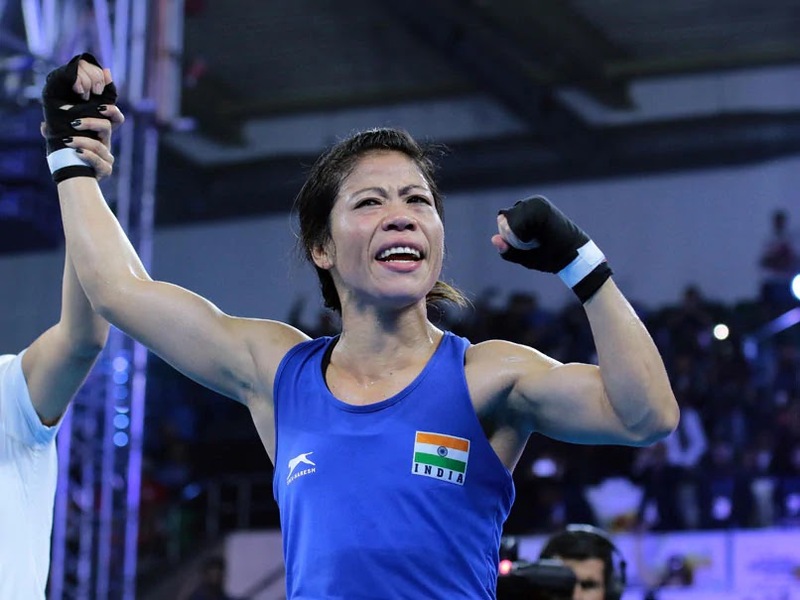 She had won gold medal in the 2014 Asian Games and bronze medal in 2010 Asian Games, making her first women boxer to win a gold medal at the Asian Games. In April 2016, the President had nominated her as a member of Rajya Sabha. She has been bestowed with Padma Bhushan (2013), Arjuna Award (2003), Padma Shri (2006) and Rajiv Gandhi Khel Ratna award (2009). Q. India's which boxing legend has won gold medal at the World Women's Boxing Championships held in New Delhi?